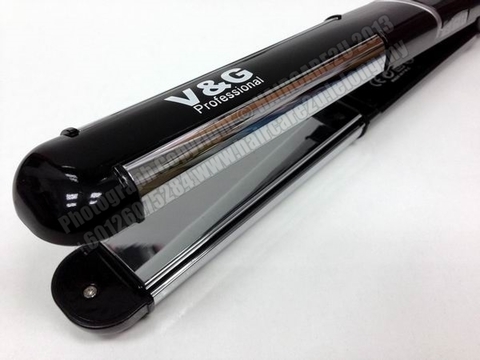 The V&G 9368 Tourmaline Compact Styling Flat Iron performs 2-way plate design is specifically fabricated to create any styles. Straightening ceramic and tourmaline plates glide across hair easily with even heat distribution eliminating damaging hot sports for ultimate straightening ability. 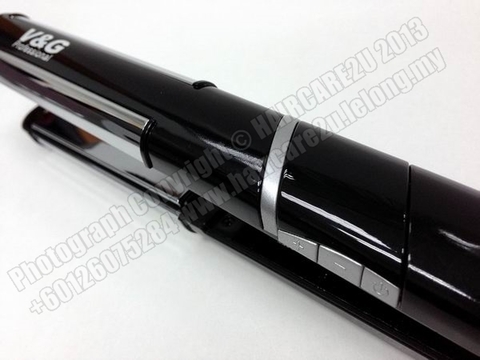 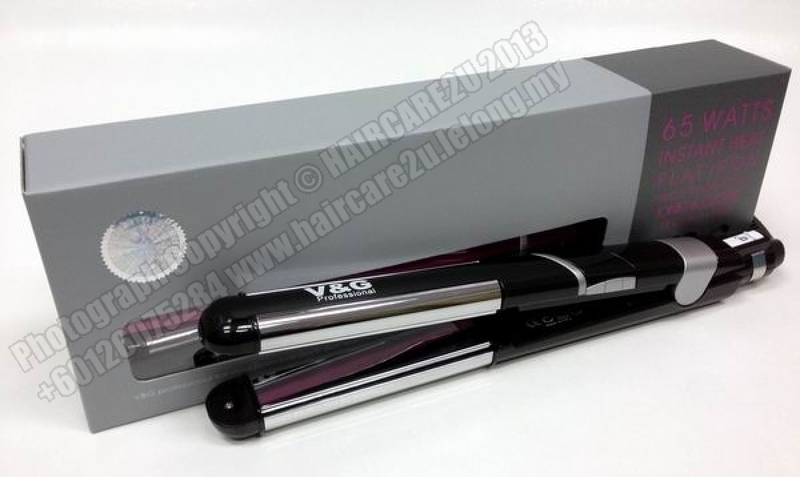 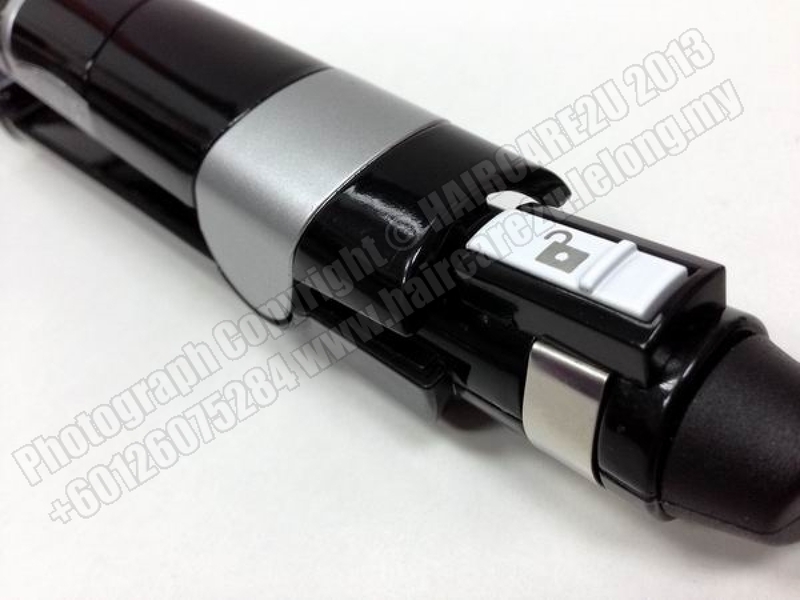 The V&G 9368 Tourmaline Compact Styling Flat Iron also has chrome on the outside of its plates. This feature was integrated into the designed to create perfectly smooth curls in just one flip! Swivel cord rotates 3M(9&apos;10") 360℃ with unique toggle.